If your teeth are not properly aligned, it will negatively affect you in a number of ways. Teeth that protrude, for example, are exposed to undue risk of chipping, and overbite or underbite can wear down your teeth enamel or even lead to a tooth fracture. And if a dental crown or filling is set too high, it can cause an uneven bite, which can cause tooth pain, tooth hyper-sensitivity, and headaches. Finally, when one or more teeth touch down before the others, when you bite, those teeth receive more pressure. That extra pressure can cause tenderness around the tooth’s root and lead to painful inflammation. An abnormal bite can put you at high risk of eventually stressing out your jaw until you develop TMJ (temporomandibular joint disorder), a painful condition that makes it difficult to talk or chew. Misaligned teeth tend to create extra pockets where food particles, plaque, and bacteria can fester. This can lead to cavities forming and can also cause gum disease. Gum disease can involve sore, bleeding, inflamed gums, and in extreme cases, results in oral infections and tooth loss. A poor bite will wear down enamel off the crowns of your teeth and overstress teeth, making them sore or even loose. It may also cause teeth to crack. And even mild cases will lead to teeth being over-sensitive to heat, cold, and certain foods. Chronic migraine headaches or pains in other areas, like your jaw and neck, may result from malocclusion if left untreated. If you have dentures, a “bad bite” can cause them to wear against your alveolar ridge, which results in sores and, eventually, in your dentures no longer fitting properly. Bridges, dental crowns, or other dental appliances in your mouth can also be ill-affected by a bad bite. For a filling or crown that is too high, your dentist can simply readjust the original work. Sometimes just after getting a filling/crown, when the dentist asks you to bite down and tell him if your bite feels normal, it is hard to tell due to the numbness from a local anesthetic. But whatever the cause, your dentist can simply re-do the crown or filling to solve the problem. Tooth re-shaping can be done where your teeth are misaligned due to heredity (or another cause). 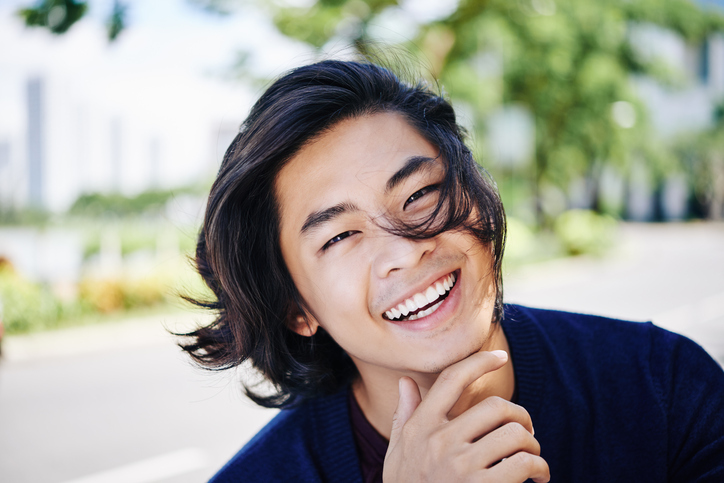 By lightly, carefully re-shaping the top surfaces of your teeth, an evenly distributed bite pressure can be achieved. Bite splints, or “mouth guards,” are plastic devices you can wear at night or during the day to keep your bite even and to keep you from clenching or grinding your teeth. If many teeth in your mouth are misaligned, you may need bite adjustment via braces. You can choose among traditional metal braces, ceramic braces, and Invisalign acrylic trays, which are less noticeable and require fewer dental visits. Your bite pattern is something you likely seldom think about, but it is very important to your oral health. To learn more and to avoid the problems chronic malocclusion can cause, contact Central Florida Perio to schedule a free initial consultation.